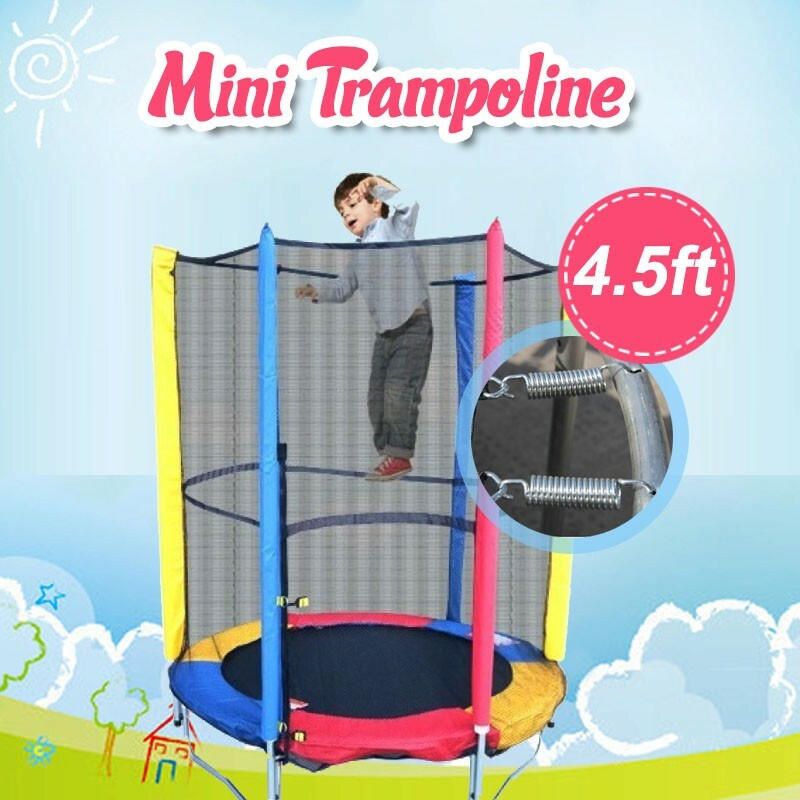 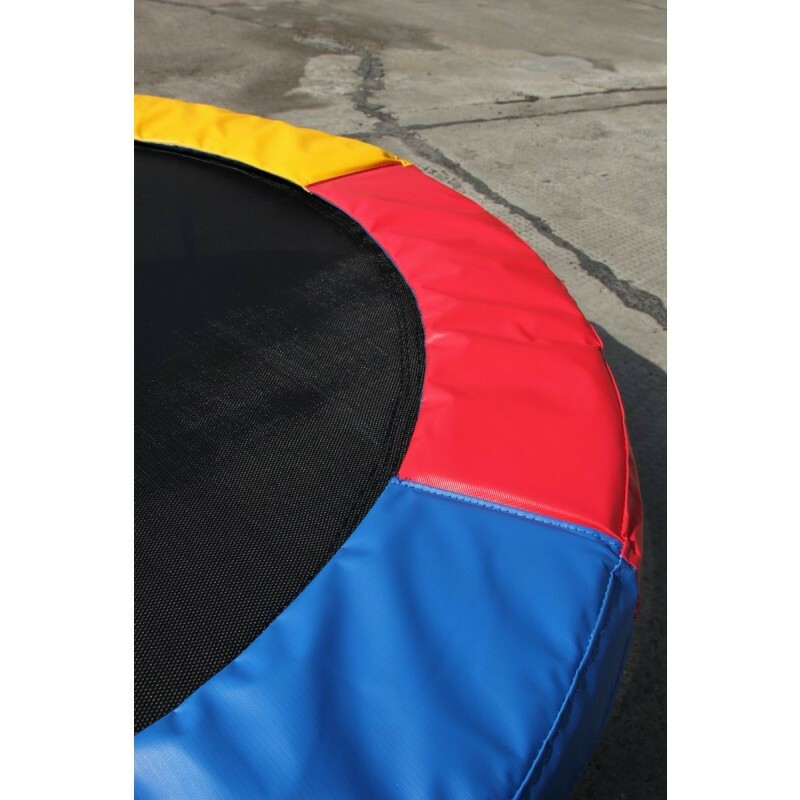 Designed for smaller yard, this brand new 4.5ft/55inch Trampolines with Safety Net will provide years of fun for children and adults of all ages. 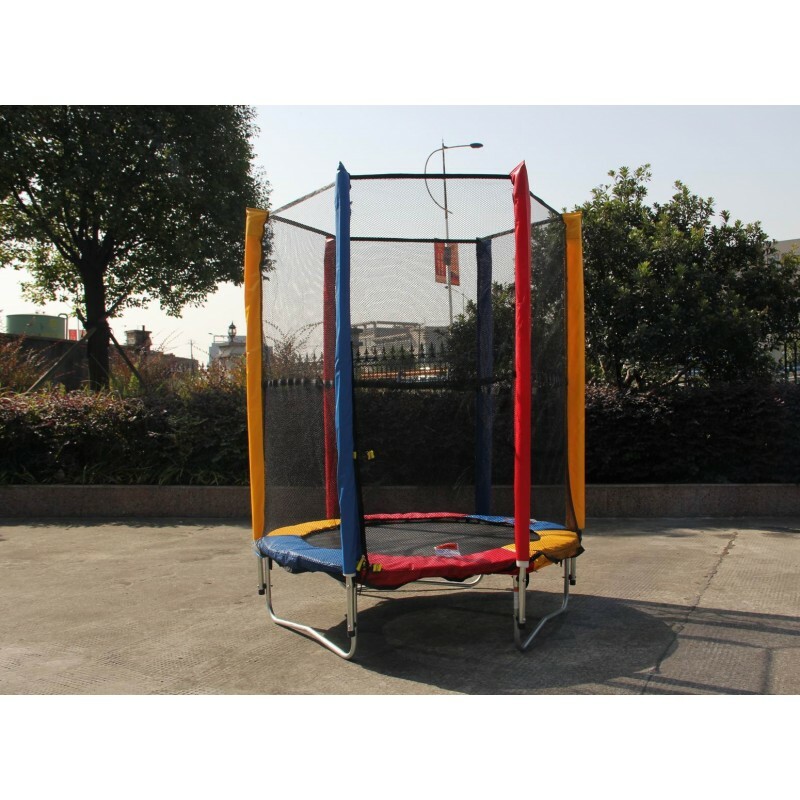 Made with weather resistance materials, it will be a safe paradise for your kids both indoor and outdoor. 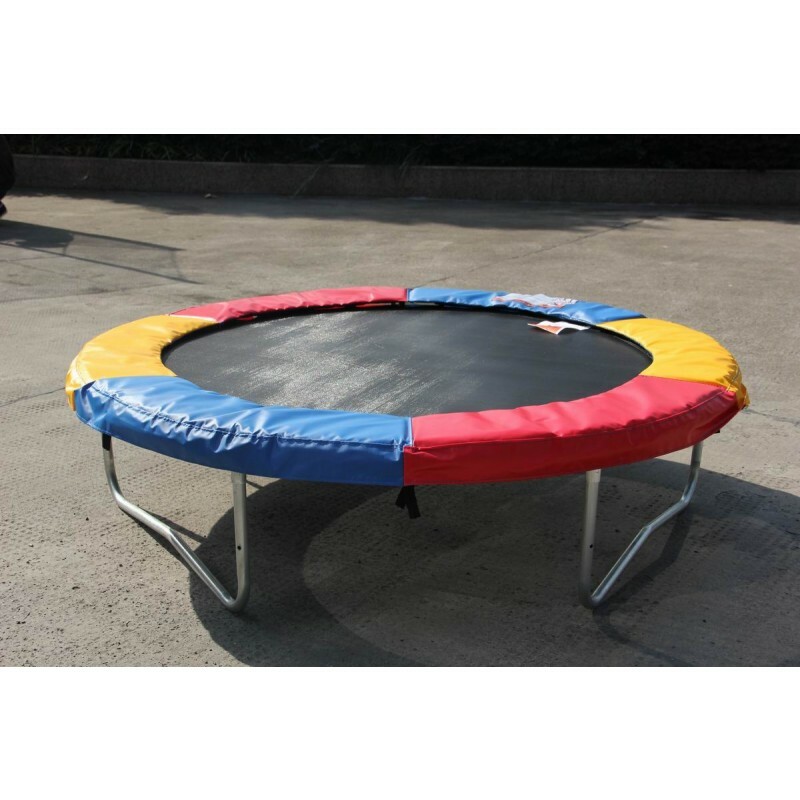 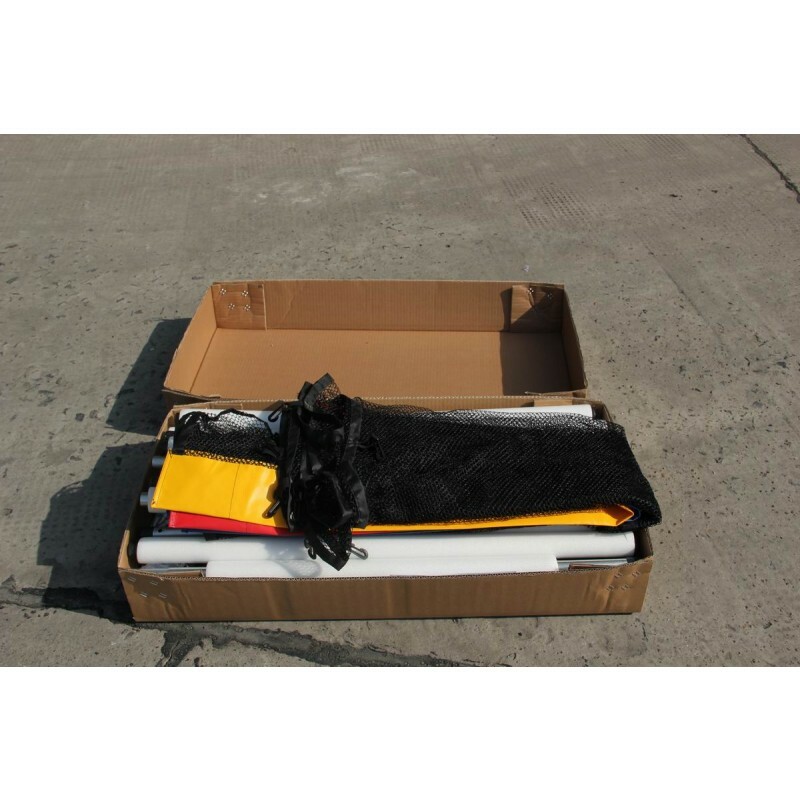 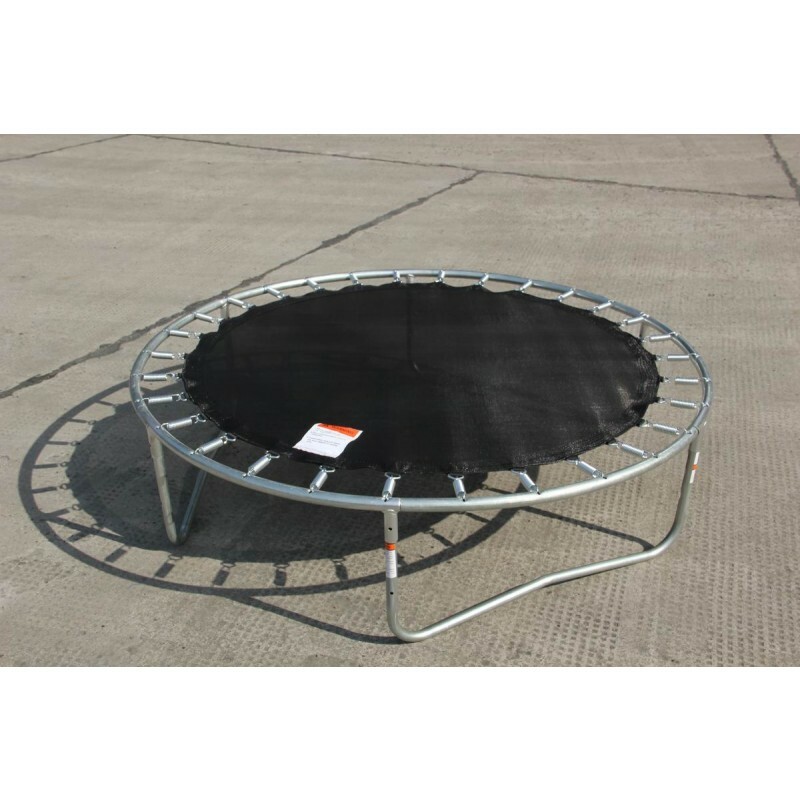 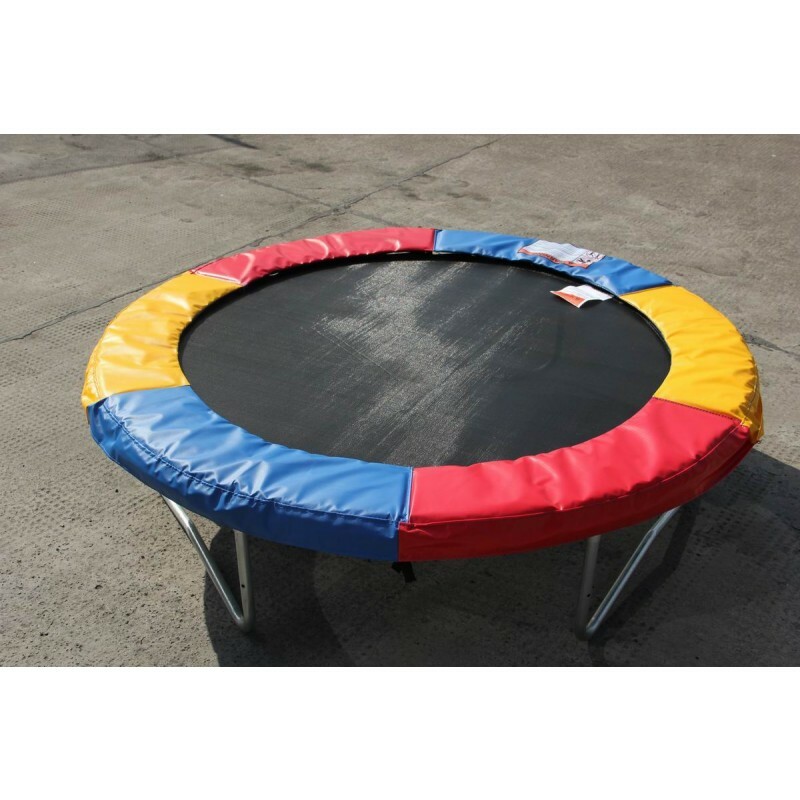 These Round 55 Inch Trampolines with Enclosure (full set) will provide years of fun for kids. 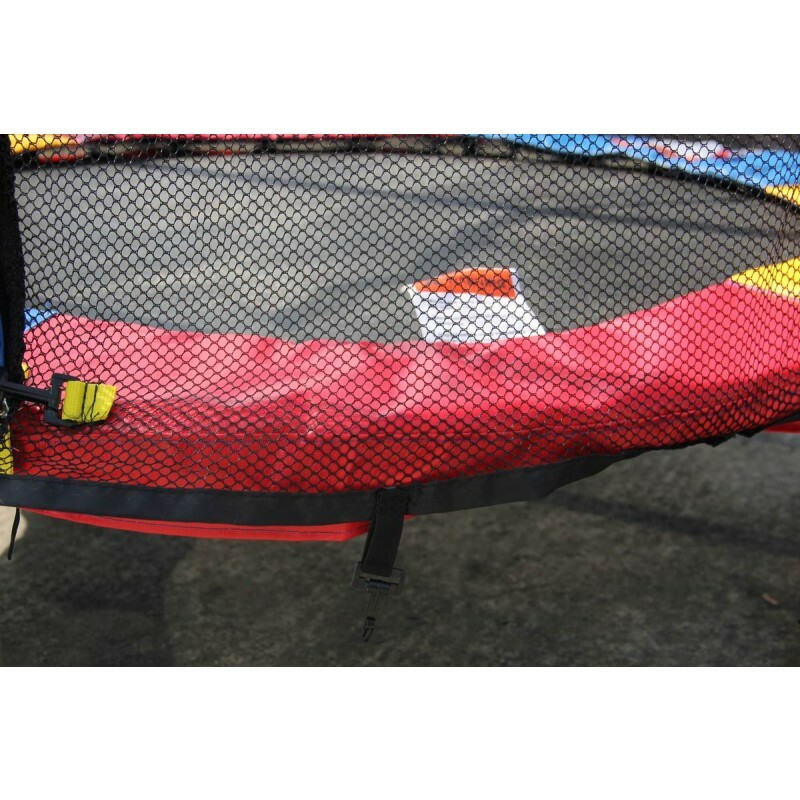 The trampoline is coming with Safety Enclosure and Spring Cover Padding. 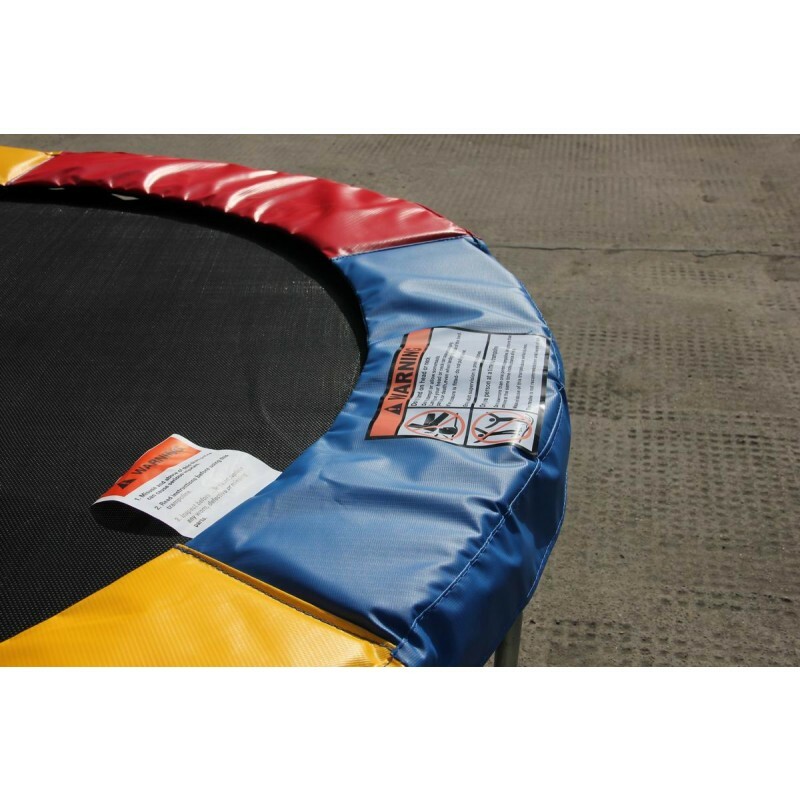 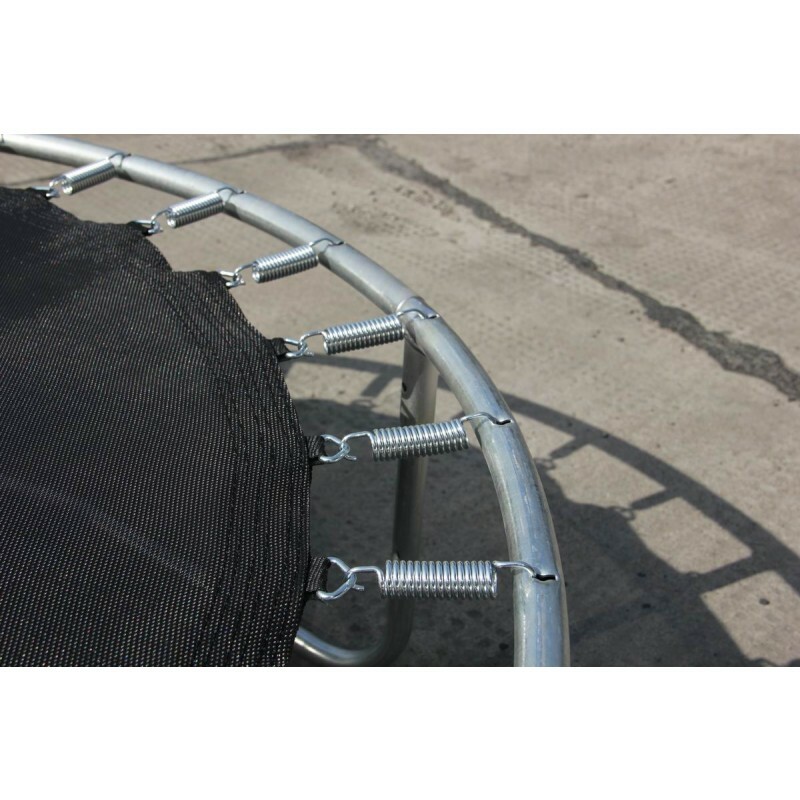 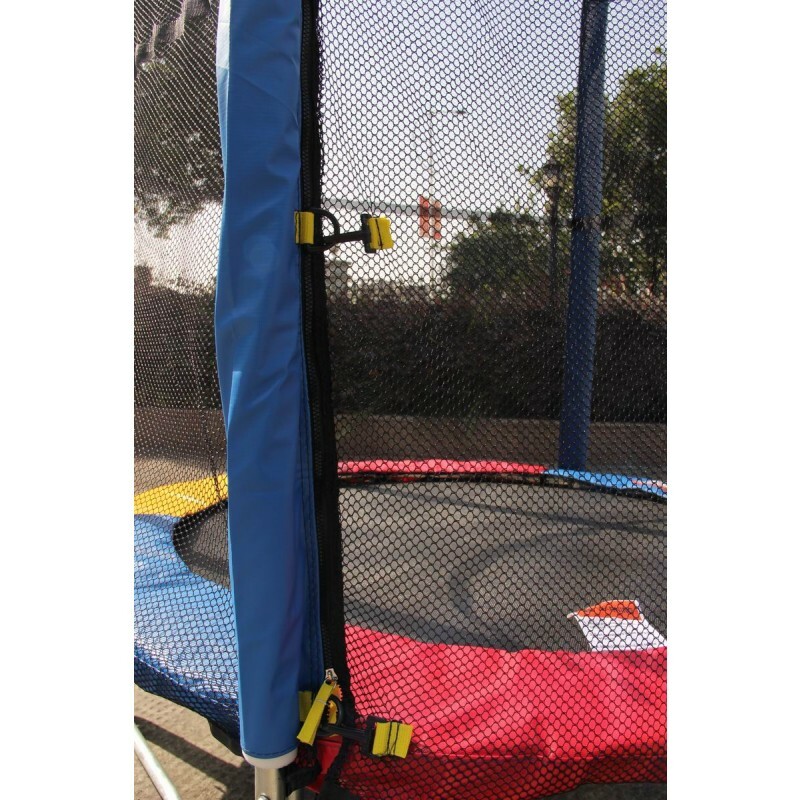 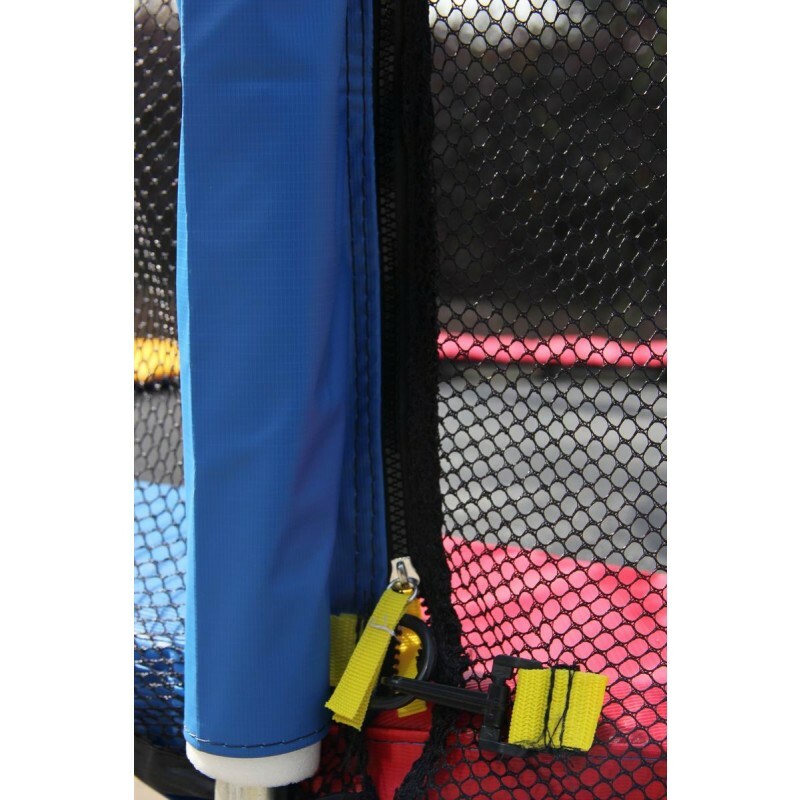 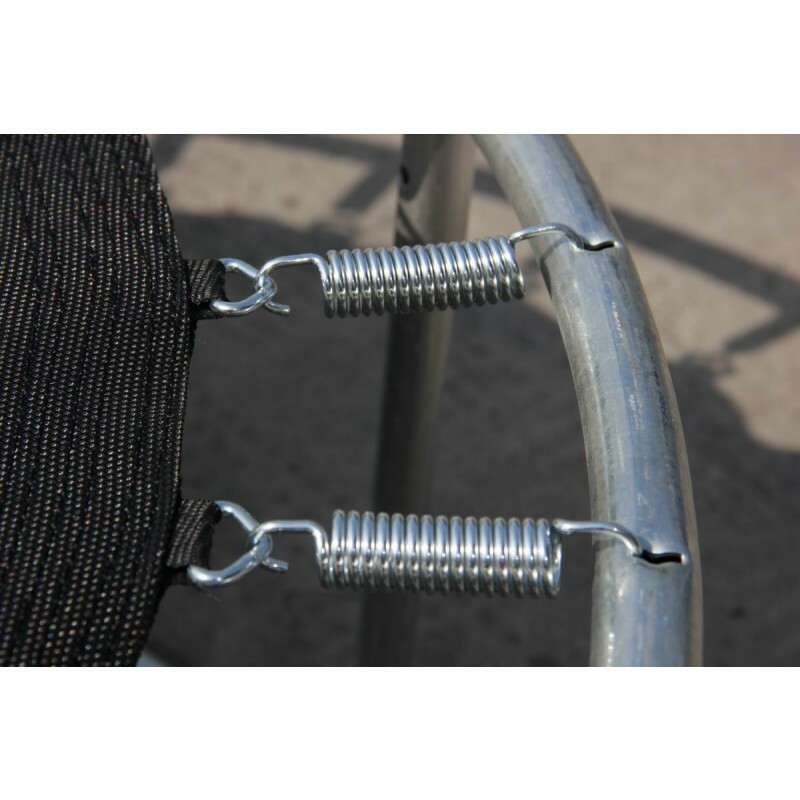 The fully padded safety enclosure can be easily attached once the trampoline assembly is complete. 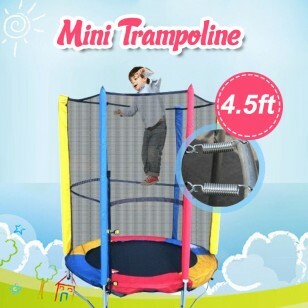 Assembly instructions are provided. 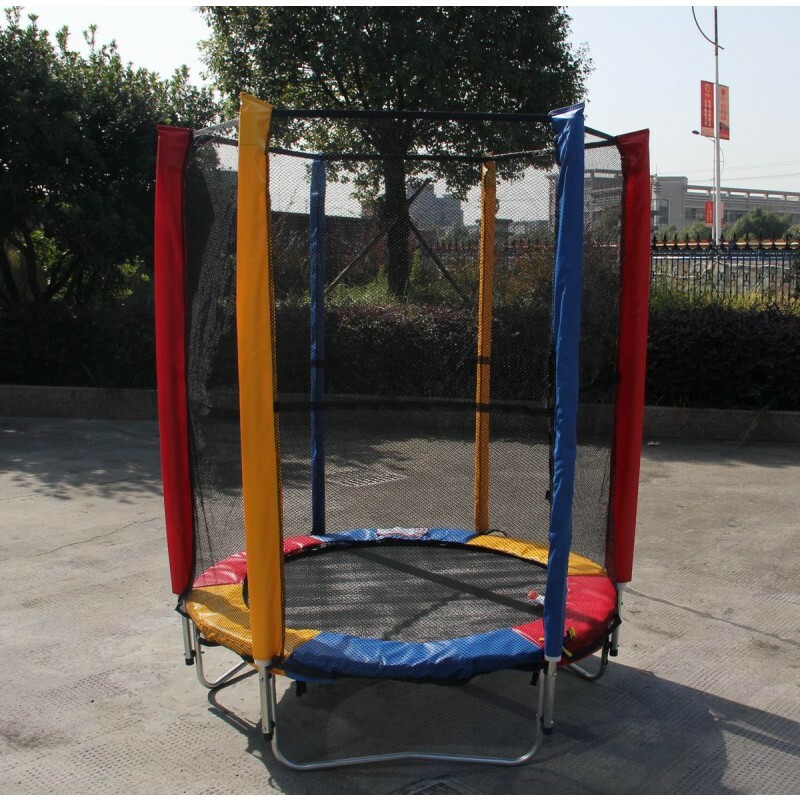 Suitable for indoor and outdoor. 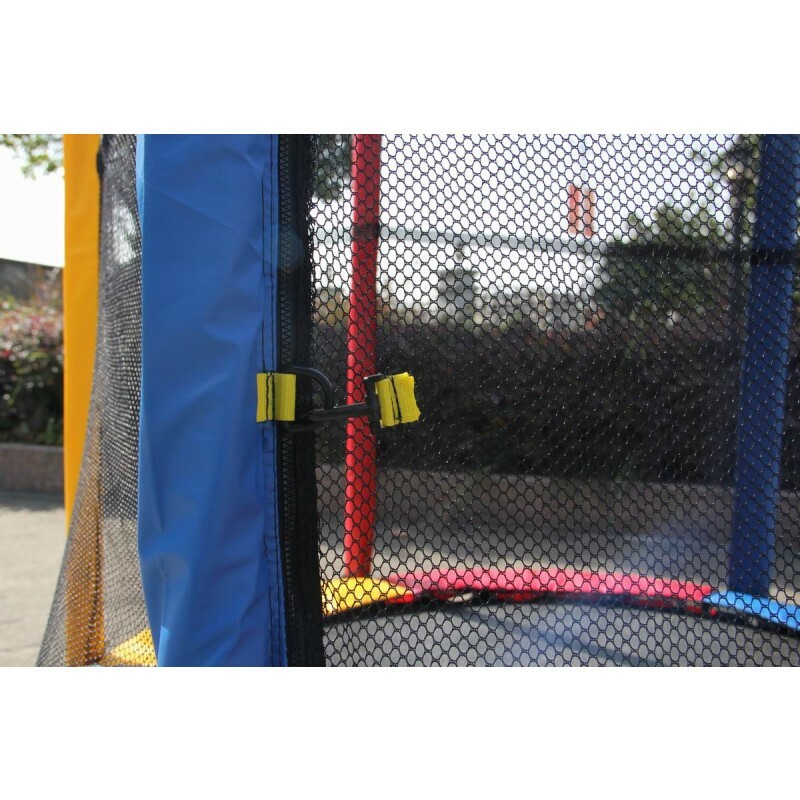 Designed especially for kids – Brightly-colored pads and poles great for your little angles. 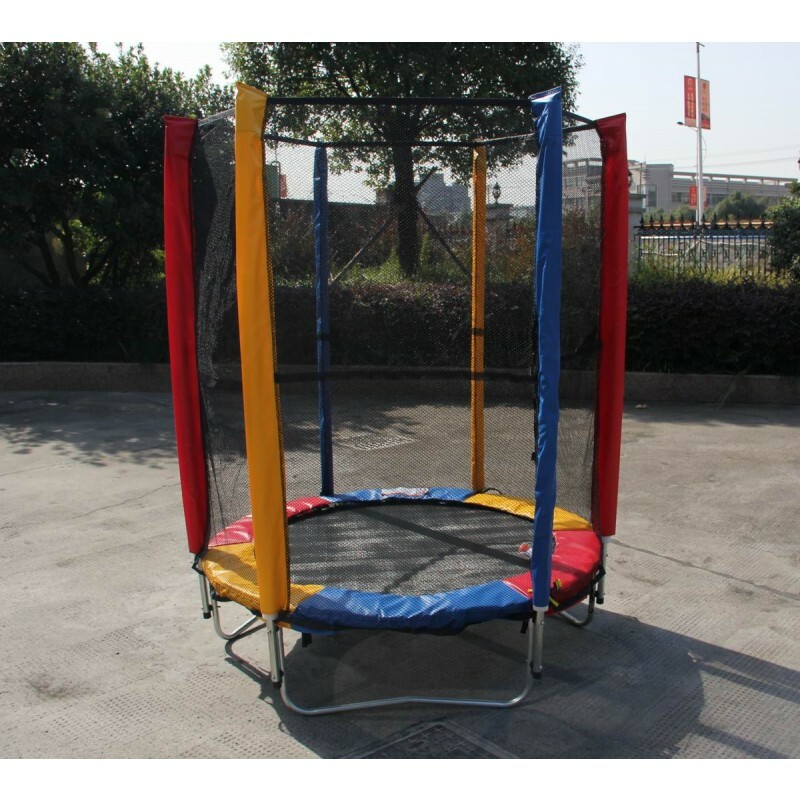 They will love to jump inside the rainbow. 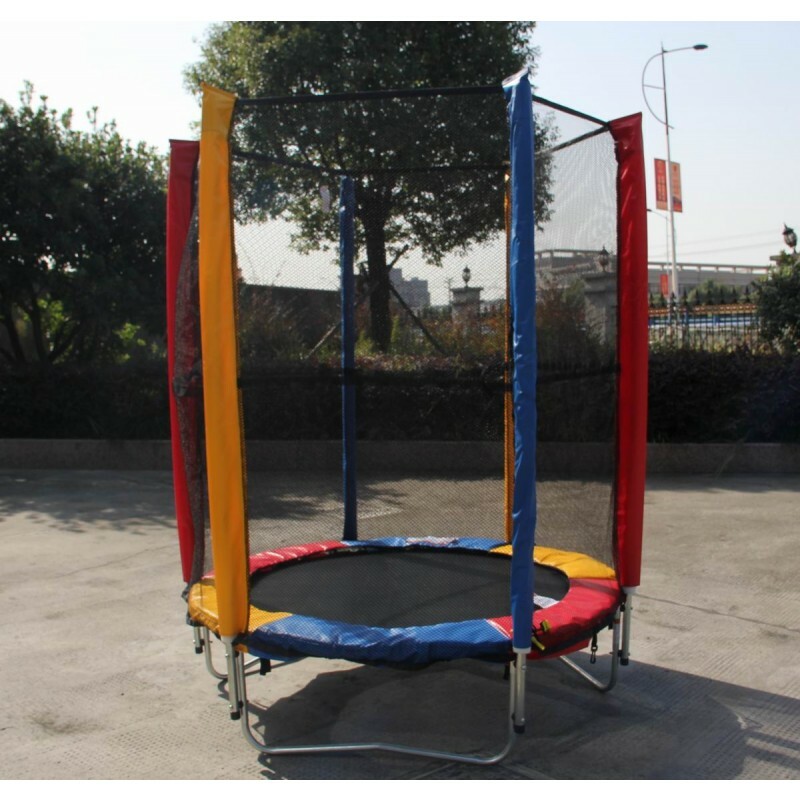 Suitable for indoor and outdoor (made with weather-resistance materials, see below specifications). 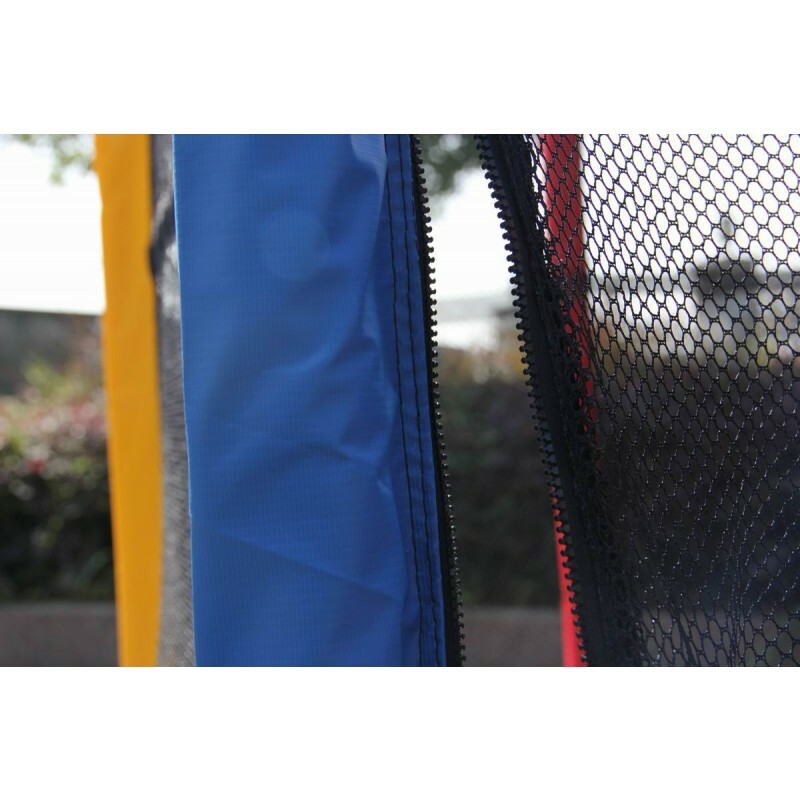 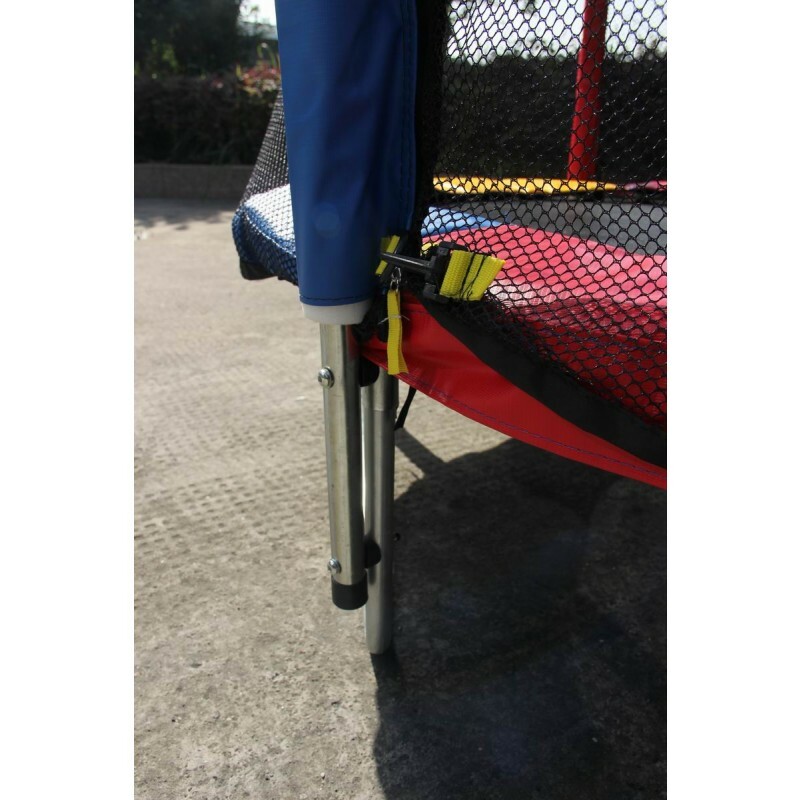 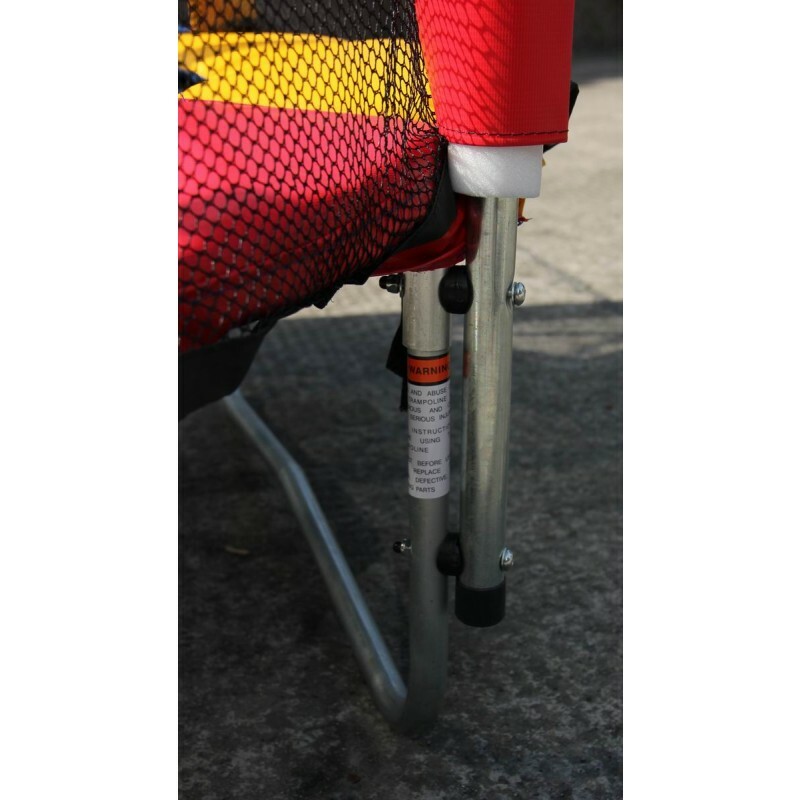 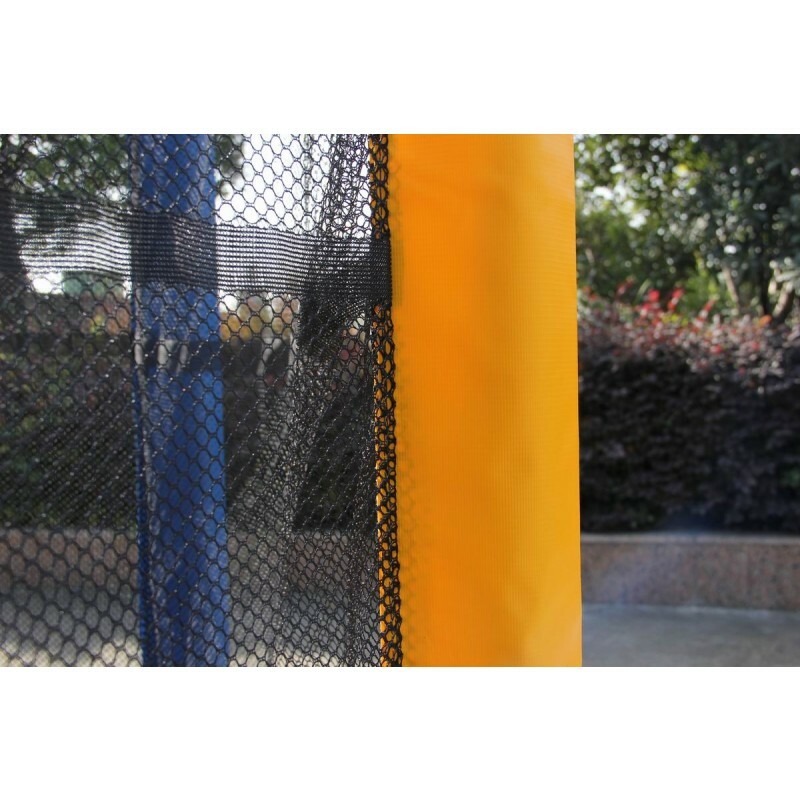 - Better Padding: 10mm Full Piece High Density EPE Foam, Reinforced UV Stabilised Cover; All Poles are padded for better safety for your kids.